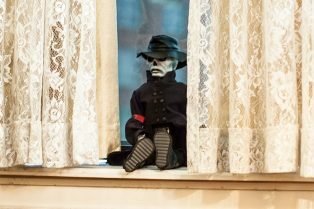 In "Puppet Master: The Littlest Reich," recently divorced and reeling, Edgar (Lennon) returns to his childhood home to regroup his life. When Edgar finds a nefarious looking puppet in his deceased brother’s room, he decides to sell the doll for some quick cash at a small-town convention celebrating the 30th Anniversary of the infamous Toulon Murders. Girl-next-door Ashley (Pellicer) and his comic book shop boss, Markowitz (Franklin), join Edgar for the doomed road trip. 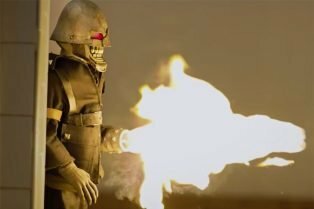 All hell breaks loose when a strange force animates the puppets at the convention, setting them on a bloody killing spree that’s motivated by an evil as old as time.